National Health Foundation was founded in 1973 to conduct research and educational programs related to healthcare delivery, particularly in hospital settings. As the field of public health has shifted over the years, National Health Foundation’s purpose has evolved to best anticipate and meet emerging needs. Today, we know that health starts where people live, learn, work and play. National Health Foundation is committed to addressing the root causes of health disparities by working hand in hand with communities. We empower teens and adults to advocate for their health and identify needed changes in their neighborhoods. Then, we help develop and support the community’s vision of health by cultivating partnerships to deliver programs and services that are empathetic and inclusive. National Health Foundation’s mission is to improve the health of individuals and under-resourced communities by taking action on the social determinants of health. Our vision is that all people, regardless of who they are or where they live, can achieve their highest level of health. 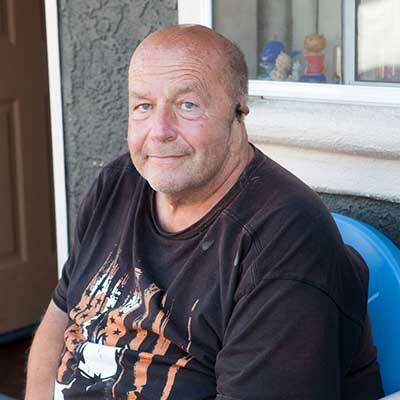 National Health Foundation has been at work in Southern California for more than 40 years, addressing some of our community’s most pressing health issues. Today, we are working hand-in-hand with neighborhoods, high schools, health plans, hospitals and more, tackling social determinants of health and righting the wrongs of health disparities. We work as a team – in the office and in the community – using empathy and social justice as our guideposts. It is our goal to understand what health issues are pressing on communities, how those can be overcome, and putting all those ideas into action. Being healthy begins where we live, learn, work and play. So that is where we focus our work – in the community. 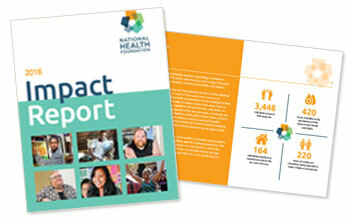 The 2018 Impact Report is our way of sharing the impact of the work we have done within the community. Find out how many more of our neighbors have access to fresh produce, are participating in fitness and nutrition classes, have found a home following hospitalization and being without a home, and how many pregnant and parenting teens students have successfully graduated from high school after setting and meeting goals for success. 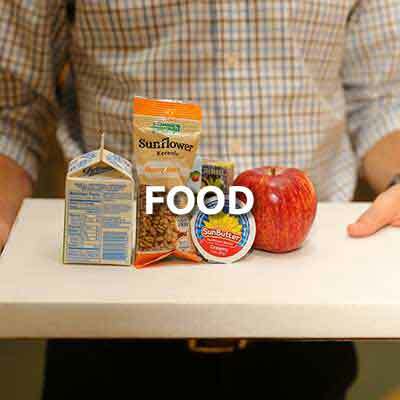 We address food access with an emphasis on increasing the availability of health and fresh foods in under-resourced communities. 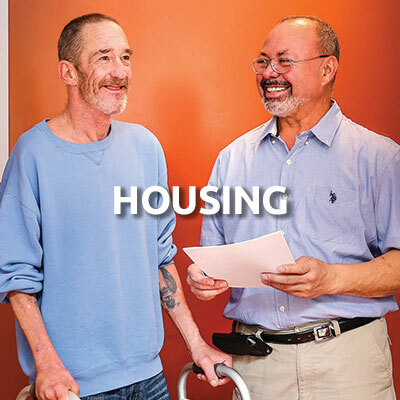 We address housing with a focus on providing shelter and care for individuals without a home who have been released from the hospital. 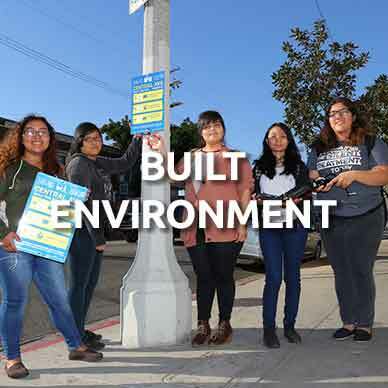 We address the built environment, prioritizing the removal of barriers to health in the Historic South Los Angeles community. We address education with a focus on risk prevention and support for pregnant and parenting teens to complete their education.